Working from the top of the inbox is a recipe for working on stuff that isn’t important. But, sometimes you need to write emails. The problem is, to write an email you need to first go to your email client, which usually means passing by your inbox. For me, this often means getting distracted by something there, and possibly forgetting whatever it was I was going to write. 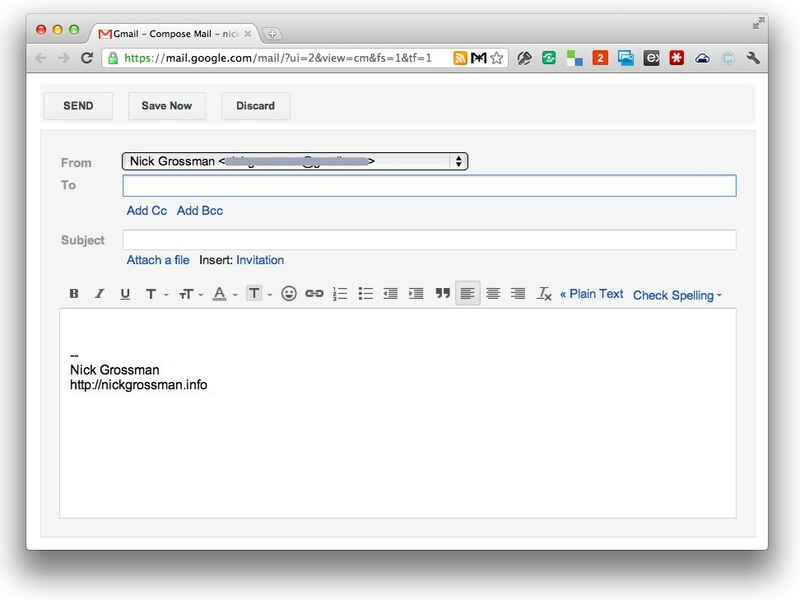 Now, no matter where you are on your computer, you can type command-shift-M and get a fresh Gmail Compose window. Is IT possible also to create a shortcut whitch send an email to myself?